Undoubtedly WordPress has been excellently set up to get the best of Search Engine Optimization. That’s the reason why most of us are always reluctant to get away from the cozy comfort of WordPress and get the site hosted with third party. Also, transition to a third party means increased responsibility starting from the need to finding a web host compatible with WordPress version to the content to be published. It takes great efforts to get your site hosted with good speed and minimum downtime. By the time you have your site up and running, you are already exhausted enough to not think about anything else. But at the positive side your deed’s done. You sit back, relax and expect your website to grow on its own, after all, word is that WordPress is great for SEO and it should hold true for you as well. But, I must tell you that you are WRONG here. Though I personally use and recommend WordPress, when it comes to SEO, it definitely needs a helping hand, a fact that not many people comprehend. If you think you are too a victim of SEO mistakes (letting your site traffic down), here are few proven mistakes that you could avoid or implement to boost your site traffic. Whenever a user visits your website and reads your post, the URL of that page shows up like this: “www.abc.com/?p=134”. Here, “/? =134” is your Permalink, and this is set by default. When it comes to SEO, such URLs are a big mistake to drop its search engine visibility. It happens as an outcome of search engines being clueless about what post your URL represent, which result in lower ranking and bad visibility. Change your permalink settings to “Post Name”, to get an extra benefit from Google. Now, for example, if your post is about SEO tips, then instead of “www.abc.com/?p=12”, it will show up as “www.abc.com/seo-tips”. Now, both the Google and your visitors are aware of your post and what it is related to. To make the change, go to Dashboard → Settings → Permalinks →Post Name. SEO being subjective, always raise different opinions when it comes to the importance of H-1 tags. But there are 3 reasons why you should not overlook H-1 tags. H-1 is the most important headline of your page and should ideally be a relevant summary of what the rest of the page content is about. Search bots weigh these heading tags while ranking pages. Secondly, the heading tags, act as a hierarchy to outline and highlight the overall structure of the content, which makes it easy to read for both humans and bots. And thirdly, it is the one place where you can insert your targeted keywords. 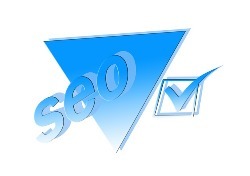 A Meta title is the title that appears on the search engine results page, and the Meta description is the description that appears below the title. So why is this important for SEO? It’s important as that’s the first thing that attracts a visitor in the search engine result and influences them to click on the link to visit your site and read the content. A properly defined title and description with relevant keywords can get your website rank higher in the search results and get your readers visibility. So, to make that first impression on your visitor, get an attractive and compelling Meta Title and Description. “Content is King”. No doubt, its true and one must always create great content. But when it comes to SEO, simply writing great content is just not gonna work. You must work on selected keywords to spread your great content by ranking it higher. These focused keywords enable your visitors to find you when they search anything related to your niche. Take help of Google Keyword Planner to find your niche related keywords. Do not overpopulate your content with them and make them look spammy. Just choose one or two keywords and draw your content around those keywords. At the same time use your intellect and think from your visitor’s perspective to find the words they would key in to get to your site. A 2-3% keyword density will be good. A sitemap specifically list out the pages on your site and makes it easier for search engines to index them and make them discoverable. When you build a sitemap, this will provide additional information to Google such as how often you expect your pages to be updated and want Google to re-index the page. It is very useful when your site is new and you have only a handful of backlinks pointing towards it. You could either create it manually, or go for plugins like Google XML Sitemaps or WordPress SEO by Yoast. Consider Video Sitemap if you have lot of videos on your site. So, have you made these mistakes? If yes, then let’s just face it. No one is perfect. We all have made mistakes, while finding the best chance possible to rank our content on search engines. SEO is an ongoing affair and one must constantly keep on updating it and learn from the mistakes made. If you expect high SERP ranks then you need to be consistent with your efforts. Also, SEO analysis is a must to check if your strategy is working or not. If you get negative results, then it’s time to change your strategy and try something new. WordPress has definitely made the SEO much easier but a few nudges to the software can bring more positive results for your website.